Below you can view all the homes for sale in the Hampton Ridge subdivision located in Marietta Georgia. 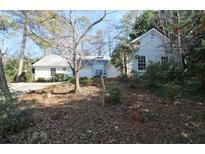 Listings in Hampton Ridge are updated daily from data we receive from the Atlanta multiple listing service. To learn more about any of these homes or to receive custom notifications when a new property is listed for sale in Hampton Ridge, give us a call at 404-998-4102. Daylight Basement W/Fitness Room, Workshop, And Lots Of Storage W/ Built-In Shelving. MLS#6514789. Duffy Realty Of Atlanta. Leads To Fireside Paver Patio*Replacement Energy Efficient Windows Throughout*Open And Flowing Floor Plan Is Perfect For Entertaining*Very Large Dining Room Will Easily Seat 12*Screened In Porch Views Hardwoods/Stream* MLS#6502976. Berkshire Hathaway Homeservices Georgia Properties. Updated Painted Brick Front In Top Lassiter High*Relax On The Vaulted Screened Porch Enjoy Family Fun Around The Stacked Stone Outdoor Fire Pit Area * Family Room With Built-Ins On Either Side Of Gas Fireplace * Renovated Master Bath With New Granite, Updated Tile Shower * All Baths Renovated*Dual Staircases* Freshly Painted Exterior * New Low-E Energy Windows * Fenced Back Yard* MLS#6128020. All Atlanta Realty. Lowest Price In The Neighborhood, Price Is Firm. MLS#6124155. Atlanta Communities.